If you know a river or stream that runs dry in the summer, you’ve seen the dusty face of the West’s biggest substance-abuse problem. State water agencies have parceled out so much water to farmers and cities that there is often none left to sustain the rivers’ ecological functions. As part of that effort, conservation organizations have worked to change state water law to allow “private groups” to lease water from ranchers and farmers for use instream. In Montana, such steps have created a potential model for other states. But the effort to implement it elsewhere has met with considerable opposition, and raised questions about the tricky interplay between stream restoration and the Endangered Species Act. 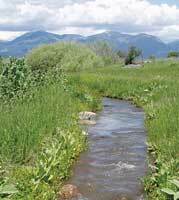 In the following six years, the Fish, Wildlife and Parks department completed just five instream-flow leases. But that effort showed that instream leases would not drastically upset existing water-rights hierarchies and, in 1995, Trout Unlimited succeeded in getting the Legislature to pass a true “private leasing” bill. That gave water-right holders the ability to lease their water to conservation groups for instream use — or to simply “donate” that water instream themselves — for up to 10 years at a time. The effort to expand the private-leasing option elsewhere has faced tough going. Last year in Wyoming, Scott Yates, who heads the local office of Trout Unlimited’s Western Water Project, worked with state Rep. Rosie Berger, a Republican from Big Horn, to write a bill that would give the state a chance to test-drive a leasing program similar to Montana’s. The bill, which Berger introduced in January, would allow water-right holders to lease their water to conservation groups or donate their water back to streams for two-year chunks of time, rather than having to permanently turn the title to their rights over to the state, as they do now. On Feb. 1, the state’s House agriculture committee killed the bill. A similar bill, in Utah, had slightly more success. That bill would allow nonprofit “fishing groups” to temporarily lease instream rights to protect habitat for three varieties of cutthroat trout that have been petitioned for listing under the federal Endangered Species Act. Currently, Utah allows only state agencies to hold instream rights, and only under strict criteria; as a result, the state now holds just four such water rights. The question came from Mike Noel, a Republican representative from Kanab, who says that leasing programs present a catch-22. “Once you (return water instream and) establish that habitat, if the fish ever became endangered, you could not remove the water from that habitat,” he says, “so you’ve given up those water rights forever.” The bill failed by just two votes. Shielding water-right holders from Endangered Species Act liability when they participate in instream leases could be a critical issue for the future of stream-protection efforts. While several models exist for granting liability waivers to landowners involved in conservation efforts on their property, few have been field-proven for situations like instream leasing. 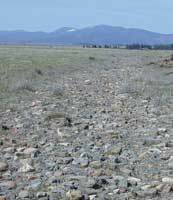 One step in that direction is, however, now happening on Montana’s Big Hole River. There, as part of an effort to restore streamflows for arctic grayling, a candidate for protection under the Endangered Species Act, the U.S. Fish and Wildlife Service is working with the state department of Fish, Wildlife and Parks to enroll local water users in a “candidate conservation agreement with assurances” program. Those agreements give farmers and ranchers certainty that the feds can’t require them to release more water instream than they’ve already committed to — and, if a new Trout Unlimited-crafted bill passes, that they can’t lose their water rights for participating in the effort. The program is in its early stages, but it may provide a model that could alleviate the fears that have stymied instream-leasing bills in other states. Matt Jenkins is a contributing editor to High Country News.